PIERRE, S.D. -- Join the Museum of the South Dakota State Historical Society in Pierre on Sunday, Feb. 3, in celebrating the 100th anniversary of the discovery of one of the society’s signature artifacts, the Verendrye (Ver-en-DREE) Plate. The day will include a talk on Joseph LaFramboise (La-FRAM-boy), making take-home clay plates, and enjoying South Dakota State University ice cream. The event will run from 1-4 p.m. CST at the Cultural Heritage Center, with free museum admission. Janet Timmerman, education program coordinator at the History Center of Olmsted County in Rochester, Minn., will give a talk entitled “Leading the Pathfinders: Joseph LaFramboise on the Coteau (Kuh-TOE) des Prairies, 1833-1838” at 1:30 p.m., repeated at 2:45 p.m. Timmerman earned her master’s degree in history from Kansas State University, in Manhattan Kan., and has done extensive research on the LaFramboise family. Visitors can write their own message on take-home clay plates, and do some Valentine ornament decorating as well. Free SDSU ice cream will be served all afternoon. The original lead plate is on exhibit in the museum galleries. It was buried in 1743 on a Fort Pierre hillside by French-Canadian explorers Francois (Fran-SWAH) and Louis-Joseph Verendrye. 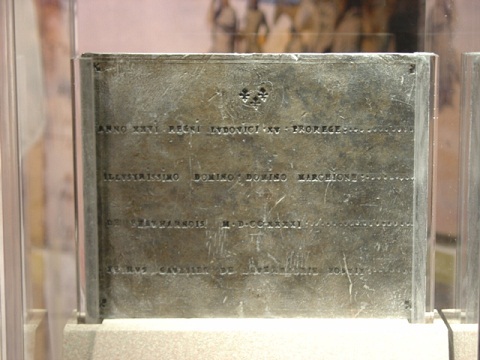 The plate lay undisturbed for 170 years until a group of teenagers found it on Feb. 16, 1913. They intended to sell the lead plate to a local print shop. Fortunately, State Historian Doane Robinson was contacted and the plate was saved. The Verendrye Site in Fort Pierre where the plate was found is one of only a few verifiable sites associated with the first Europeans to explore the northern Great Plains region. The museum at the Cultural Heritage Center is open 9 a.m.-4:30 p.m. Monday-Saturday and 1-4:30 p.m. on Sundays. There is a small admission fee for ages 18-and-older. Call (605) 773-3458 for more information, or visit www.history/sd/gov. The South Dakota State Historical Society is a division of the Department of Tourism. The Department of Tourism is comprised of Tourism, the South Dakota Arts Council, and the State Historical Society. The Department is led by Secretary James D. Hagen. The State Historical Society is headquartered at the South Dakota Cultural Heritage Center in Pierre. The center houses the society’s world-class museum, the archives, and the historic preservation, publishing and administrative/development offices. Call (605) 773-3458 or visit www.history.sd.gov for more information. The society also has an archaeology office in Rapid City; call (605) 394-1936 for more information.